A man nursed an injured fawn back to health after she was abandoned by her mother. 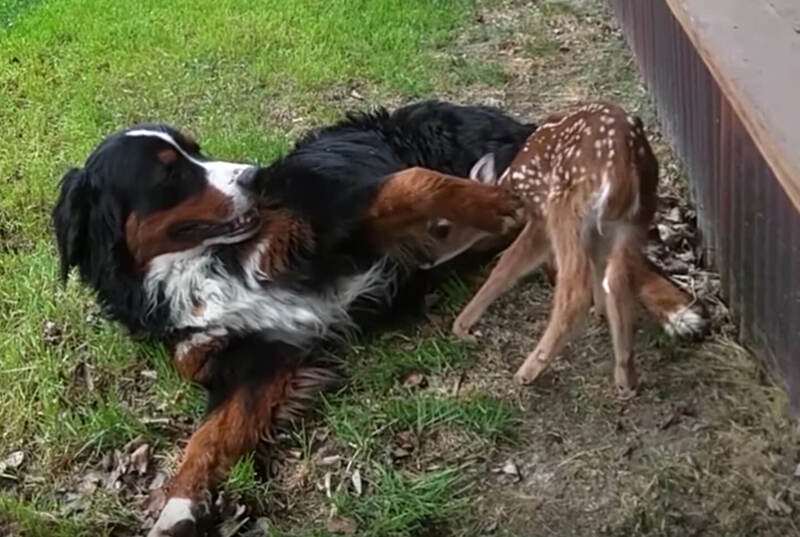 Darius Sasnauskas noticed something alarming in his backyard when an injured fawn was having trouble keeping up with her mother. Eventually, the mother had no choice but to leave the fawn behind as she was becoming too much of a burden. While he was initially opposed to keeping a wild animal as a pets, Sasnauskas decided that he had to help the fawn as he feared she would die if left alone. “With so many predators around, she had no chance to survive on her own,” said Sasnauskas. 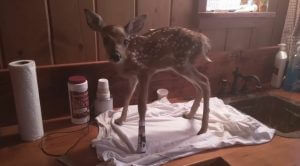 He made the fawn a brace out of an oatmeal box that helped keep her leg in place as she recovered. As Sasnauskas spent several weeks nursing it back to health, the fawn became attached to him and would follow him around everywhere. The fawn also became an integral part of the family and enjoyed socializing with Sasnauskas’ dogs and cats. She became so attached to Sasnauskas’ dog Mack, that he practically became her foster dad! The pictures showing the bond between Mack and the fawn are too cute! He would even protect her while she was sleeping. However, this relationship had to come to an end soon. Despite the strong connection between Mack and the fawn, Sasnauskas knew it was time to send her back to the wild when she was able to walk without a brace. She’s already used to me, and she follows me…but nobody can replace her real mom. When it was time to finally release her in the wild, she would refuse to leave Sasnauskas’ side. She simply didn’t feel safe without Sasnauskas and the rest of the family and she really needed a parental figure. One day, while trying to release her again, the fawn saw her mom in the distance and ran into the sunset without looking back. It was an extremely satisfying sight for Sasnauskas to see. He described the reunion between the fawn and her mother a “perfect situation” as she was able to peacefully reenter her natural habitat and reunite with her kin. Though it was tough saying goodbye, this wouldn’t be the last time Sasnauskas saw the fawn. He saw her a couple months later with her mother, all grown up and healthy. Sasnauskas was very happy to see the hard work he put into nursing the fawn back to health pay off. 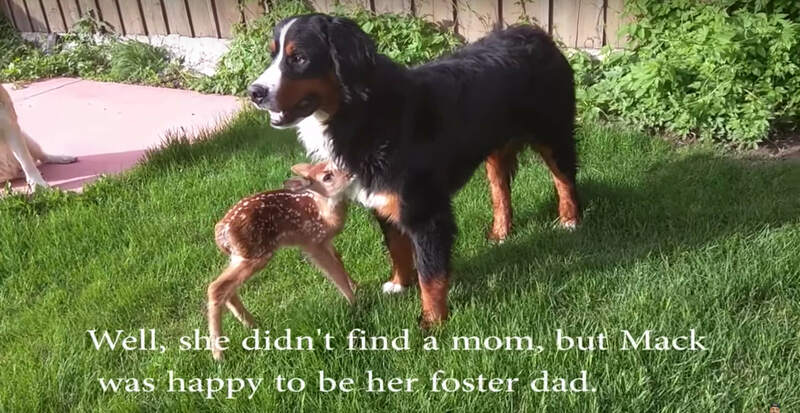 This video chronicles the full story of the fawn and Sasnauskas’ story. Warning: this video will probably leave you in tears!